ISLAMABAD: Sindh Chief Minister Murad Ali Shah’s role is central to the movie ‘Thugs of Pakistan' and there can be no exemption from accountability for those involved in money laundering and fake bank accounts case, said Minister for Information Chaudhry Fawad Hussain while addressing a press conference here on Monday. He was accompanied by Prime Minister’s Special Assistant on Accountability Shahzad Akbar. The minister said the ruling Pakistan Tehreek-e-Insaf’s demand for resignation of Murad Ali Shah stood ground. Shahzad Akbar emphasised that the Supreme Court’s order for removing the PPP Chairman Bilawal Bhutto Zardari and Murad Ali Shah from the ECL would be honoured but there was no exemption available to them in the fake accounts and money laundering case. Shahzad said the Supreme Court had rejected all the reservations expressed about the JIT report and as per the latter’s recommendations, the money laundering case had been sent to NAB. He said removal of Murad Ali Shah and Bilawal Bhutto from the ECL did not mean that they enjoyed an exemption. "The NAB will probe Bilawal as per his role mentioned in the JIT," he added. Shahzad contended that it was too early for the PPP to celebrate the Supreme Court order and removal of their names and drew a comparison between its celebrations and those by the PML-N at the time of the constitution of a JIT in the Panama Papers case. 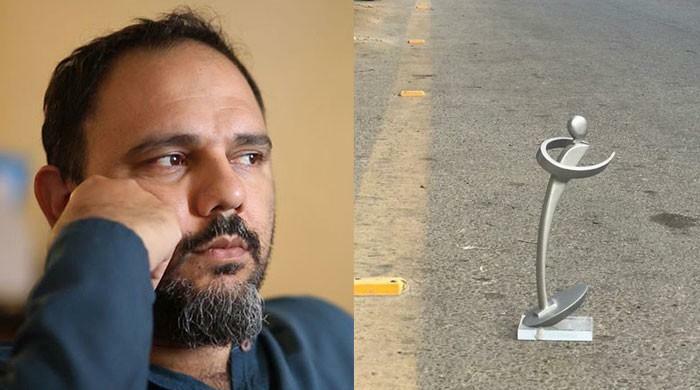 They pointed out that neither the Zardari Group nor the Omni Group had disputed or challenged even a single point and their replies were just confined to dubbing the report concocted, malicious, mala fide and based on fake accounts. Shahzad noted that none of the six points were scientifically replied by those who were served notices. “The parties concerned will have to respond in a proper way to the NAB now within a time-line given by the apex court to the anti-graft body. And, the JIT members could also be summoned by it for assistance during investigation,” he added. Shahzad also pointed out that like others, Murad Ali Shah would also have to respond to a NAB questionnaire. “If he failed to satisfy, a reference might also be furnished against him for his role as finance minister and then as chief minister in all those matters mentioned in the JIT report," he said. Shahzad said as per his understanding, the JIT would continue to assist the NAB in investigation. He said it was maintained that Farooq H Naek had taken the plea that he had received funds as law minister and as a lawyer but then he noted that the amounts from accounts were transferred to the account of his own and he would have to explain why it was done. The special assistant contended that Naek did not respond to the annexures of the JIT report but he would have to respond to the NAB's queries now. "They will have to respond specifically to the points raised in the JIT report: how the loan was acquired based on a collateral that was sugar, when sugar did not even exist in bags, how the Omni Group grew from two to 98 companies within 10 years, and how loans worth millions of rupees were advanced to fake companies?” he continued. "Under what deal did a number of beneficiaries travel for free on Omni Aviation's flights for free?" he asked while referring to former Sindh chief minister Qaim Ali Shah, Murad Ali Shah, Zardari's sister Faryal Talpur, Sharjeel Memon and others. He remarked, "I want to ask them what benefit they were giving to that airline because even a bus driver will not let me have a free ride. How did you manage to take flights on private jets?" He insisted none would believe that out of esteem, free flights were arranged for them. Fawad said 90 percent of thugs were behind the bars and assured that the remaining 10 percent would also join them shortly. He again made it clear that the cases were initiated in 2015 and the then interior minister Ch Nisar Ali Khan had also held news conferences and then as per the charter of corruption deal, no proceedings were held afterwards under an understanding that the PPP would not probe the PML-N and vice versa. The minister said the government had not initiated any of the cases currently plaguing the opposition parties. “We just granted a freehand to the investigation agencies and investigators and this has produced brilliant results so far,” Fawad said. He claimed what the nation expected from them was that none of the looters be spared. He remarked that at the moment there was an interval in the movie ‘Thugs of Pakistan’ (starring Asif Ali Zardari and Nawaz Sharif in lead roles). “A charter of corruption was signed in which the leaders of PML-N and PPP protected each other,” he claimed. Talking about JUI-F chief Fazlur Rehman’s efforts to arrange meetings between Zardari and Nawaz Sharif and to unite the opposition parties, he said it should be termed an ‘Alliance for Restoration of Corruption’. Fawad said some wrote in their columns that the present scenario would lead to a one-party system in Pakistan, arguing that there was only one way out and it was that either corruption be given a legal cover or an NRO be given to the opposition parties. Shahzad Akbar said the JIT report comprised 131 pages and 1,000 annexures and any accused who failed to satisfy the investigators would face references. He said all the accused will have to prove their innocence in matters relating to the Summit Bank, Sindh Bank, Steel Mills and land grabbing, subsidy, etc. He insisted that Asif Ali Zardari and the Omni Group owners will have to reply as to what was the relation between them. Similarly, Asif Ali Zardari will also have to explain the source of income for purchase of properties in London and New York, he added. Answering questions, Fawad said the government during its first five months in power had successfully overcome issues like the current account deficit and balance of payments with the generous help of Pakistan’s friends, including Saudi Arabia, the United Arab Emirates, China and Malaysia. 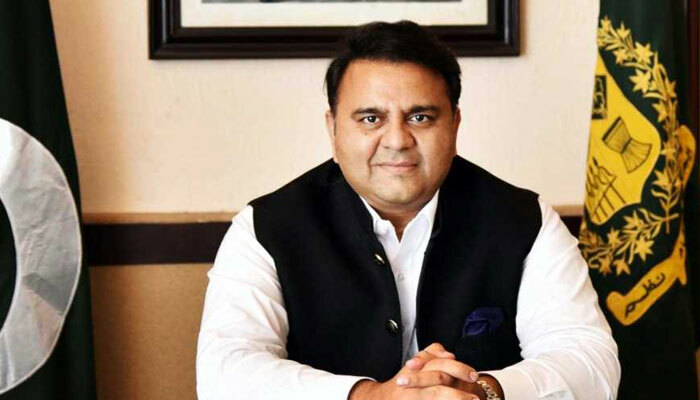 Fawad noted that the government was focusing on boosting exports and curtailing imports besides attracting foreign investment by ensuring ease of doing business with special focus on job creation. He was confident that the fruits of government's prudent economic policies will be visible this year. To a question, the minister called for strengthening the editorial system in media houses to improve content. He said the media houses will also have to ensure objectivity in their policy of breaking news keeping in view the national interest. He said the government believed in the freedom of expression but there should be checks and balances to improve journalistic standards. About the visit of the crown prince, he said it consisted of two phases: one was private while on the last day, he had meetings with the Pakistani leadership. Meanwhile, the Pakistan People’s Party (PPP) on Monday said the Supreme Court verdict had proved that the Joint Investigation Team was influenced. “With today's verdict of Supreme Court, the JIT has totally lost its credibility and it has been proved beyond doubt that the NAB has been politicised and is acting with bias,’ said Senator Mustafa Nawaz Khokhar, spokesman for the PPP Chairman Bilawal Bhutto Zardari. He said the Supreme Court verdict had declared that putting the names of Bilawal Bhutto Zardari and Murad Ali Shah on the ECL was based on bad intention, which showed that the JIT report was not based on facts. He demanded that the entire cabinet should apologise to Bilawal Bhutto and Murad Ali Shah for putting their names on the ECL. “The PTI leaders who were demanding the resignation of Murad Ali Shah should themselves resign,” he added.